Grand Court Jerusalem "Thank You Nina/Nila?" Grand Court Jerusalem "Well Located Hotel"
The hotel is located right near the Beth Israel section of Jerusalem where the Yeshivas Mir is located. Excellent location for anyone visiting a boy learning in Mir. Excellent location for going to the Kotel. Excellent transportation to the rest of the city via the Light Rail. Grand Court Jerusalem "Great Place"
Perfect location to the old city, attractions and restaurants. Parking available, friendly staff, nice clean room and great breakfast. Welcoming atmosphere. You will enjoy. This is our second stay at the Grand Court. The food is some of the best in Israel. And the staff is kind, joyful, and a pleasure. We loved our stay, and hope to come back. 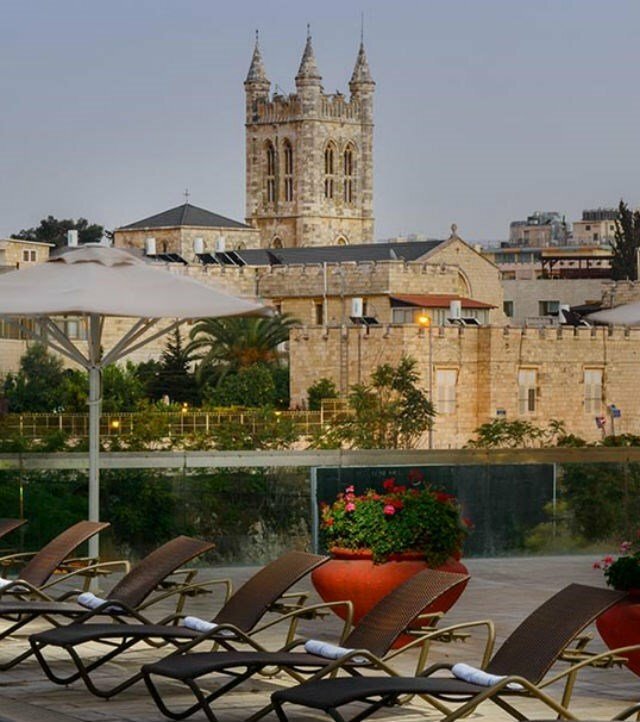 Grand Court Jerusalem "Great Stay"
Going to Israel, the Grand Court is the best place to stay.